You just heard the report in Flagstaff – it’s snowing! Maybe you’re living somewhere close that doesn’t get the benefit of snow. Or maybe you’re a local who wants to get out there and have some fun. Either way, I’ve got you covered! Listen in on this episode of Experience Flagstaff for some tips and tricks from a local on how to get the most out of playing in the snow. Of course, there are a lot of places to play. See below for LOTS of links to some of the best places to pay in the snow in Flagstaff. But also listen in for tips on driving in the snow, where NOT to play in the snow, and more. Take it slow!! The speed limits may read 65 or 75 miles per hour. But in snowy conditions, you can’t go that fast. Sorry. So slow down. If both lanes are open, go slow in the right lane with your hazards on. If down to only one lane, you have no option other than to BE PATIENT. DO NOT tailgate! Your car WILL NOT stop on a dime, and all it takes is a tap on the brakes of a car in front of you to create a ripple effect that can lead to a pile up on the freeway. Your life is WAY too valuable. Arizona Snowbowl – Downhill skiing in Flagstaff. Get pricing, buy lift tickets, and see current snow conditions. Flagstaff Snow Park – Check to see if they’re open, buy tickets (either all day or choose a half day pass), find directions, and more. Arizona Nordic Village – Cross country skiing and snowshoeing. Also rent a cabin or a yurt! Get pricing, see the trails, get directions, buy passes. Schultz Pass Road: Park at the intersection of Schultz Pass and Elden Lookout roads, Schultz Pass Road has a mild slope beyond the gate. Forest Road 794: 25 to 30 parking spaces and small slopes beyond the parking lot and the road gate. Make sure not to block the road or U.S. Forest Service gate. Fay Ridge Trailhead off Lake Mary Road: The trailhead is located on the west side of Lake Mary Road, several miles south of the intersection with J.W. Powell Boulevard. There is off-street parking for about 35 vehicles at the trailhead. More sledding – This link gives you some great resources on fave sledding places as well. Be sure to take your sleds and trash with you! Check out this article from ABC 15. 1-844-256-SNOW – this number will give you snow updates and conditions. Flagstaff City Snow and Ice Operations. Check this link for information on the priorities of snow removal, parking restrictions, and more. 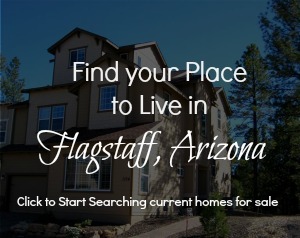 Don’t forget to visit the Experience Flagstaff Facebook Group! Post photos of your Snow Play in Flagstaff. We love to see how YOU enjoy the snow. Are you a local? Post your favorite place to play in the snow, or a super secret tip for snow days in Flagstaff. If you’re loving the Experience Flagstaff Podcast, please leave us a review on your favorite podcast platform. Posted in About Flagstaff, Experience Flagstaff Podcast, Places to Play, Podcast and tagged Experience Flagstaff, Family Fun, Fun in Flagstaff, Skiing, Sledding, Snow Days, Things to Do.